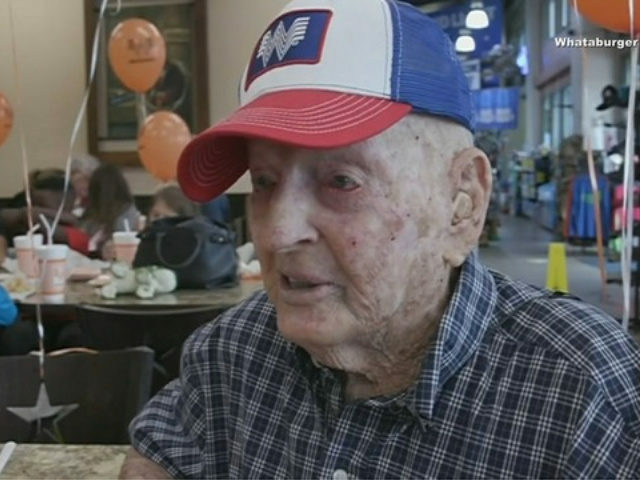 Wallace has been a regular at the Malakoff, Texas, Whataburger for many years. On Saturday, it was the site he chose to celebrate a century of life with his family and friends — and 100 birthday cards. He was served a large cake in red, white, and blue. The World War II Army technician worked at General Motors for 27 years, spending most of his long life in Arlington. Asked about the secret of his long life, his answer was simple: Wallace cited regular exercise and time spent outdoors.